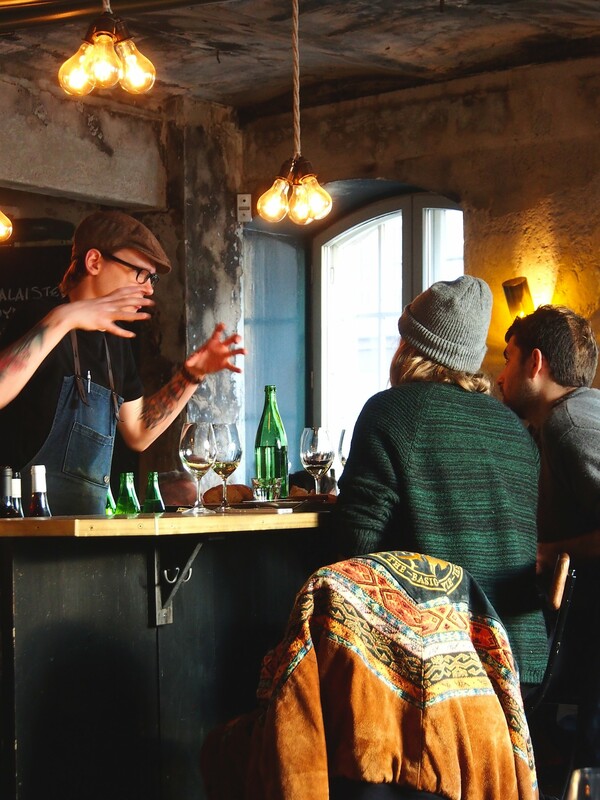 As many international travel guides and magazines praise, Helsinki today is a great destination – vibrant, playful, genuine, stylish and confident. 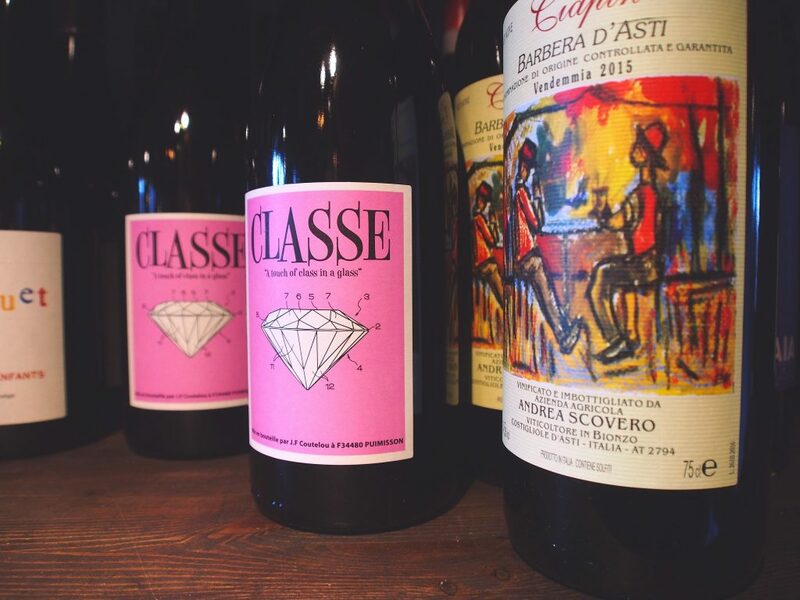 This shines at its best in our new generation of bistros and bars, of which BasBas & Staff Wine Bar is the most brilliant wine spot in town. In fact, it is one of the nicest wine bars I have ever been to (and yes, I travel after wine on a monthly basis). How come? 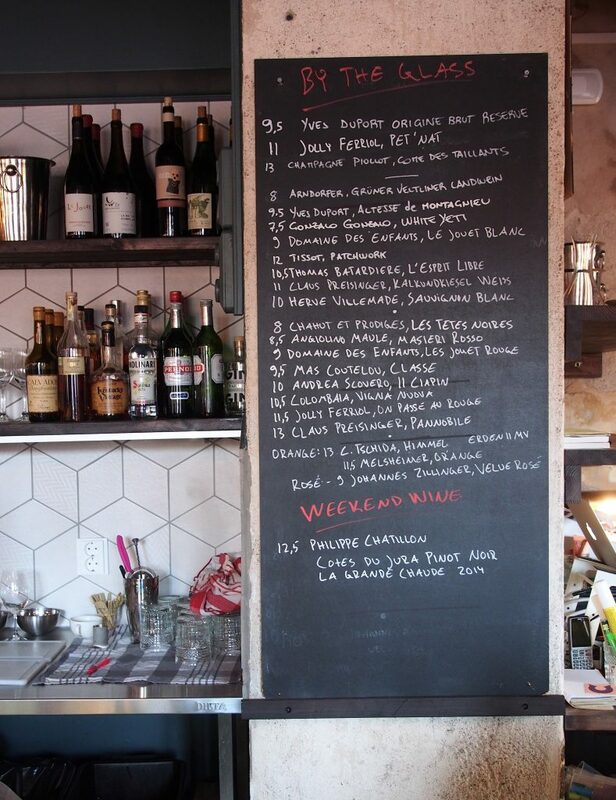 Well, BasBas & Staff Wine Bar has everything you need to make a great wine bar. 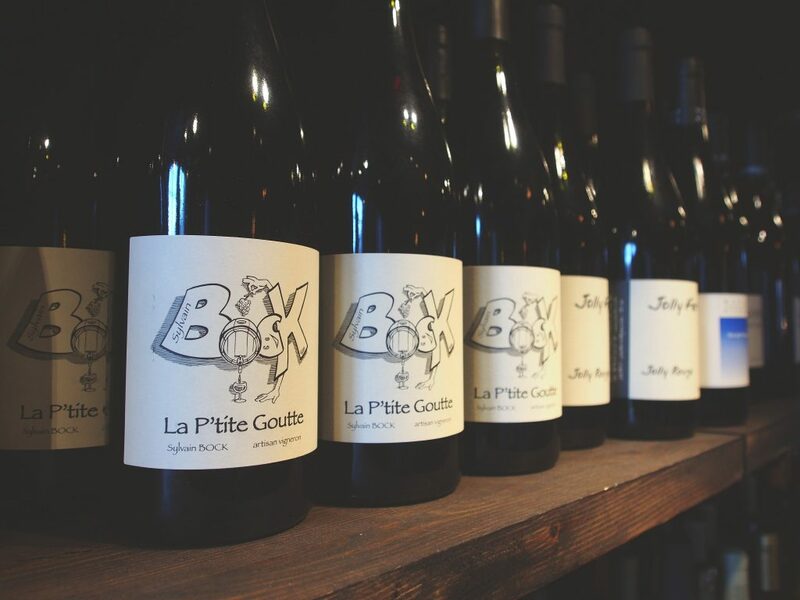 Vast and innovative wine selection with a strong emphasis on exciting – both renowned and rising – natural wines, mostly from France. Simple, tasty and pretty little dishes. Fabulous, homey ambiance created with deliciously edgy and sleek surfaces paying homage to the old days. Beautiful light playing in squared windows. Impressive bar counter, walls to admire. And a bunch of friends as staff, making you feel like a friend as well. 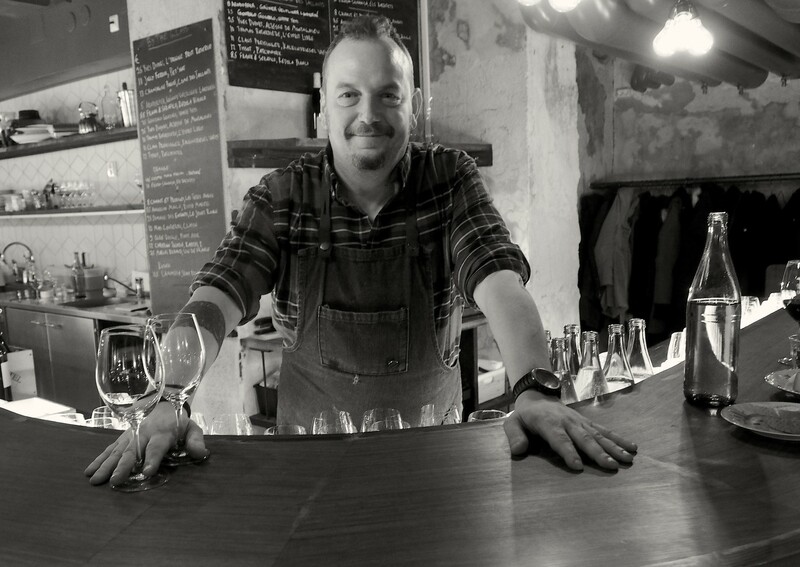 Sebastian Siimeslahti is a stellar example of a laid-back yet precise sommelier promoting creative and informal wine culture to Finland. With guys like him you never think twice about asking one more question about the wine in your glass. This young dude is packed with enormous enthusiasm and superb knowledge on wine. Even when it gets busy, he always seems to have extra time for the customers. 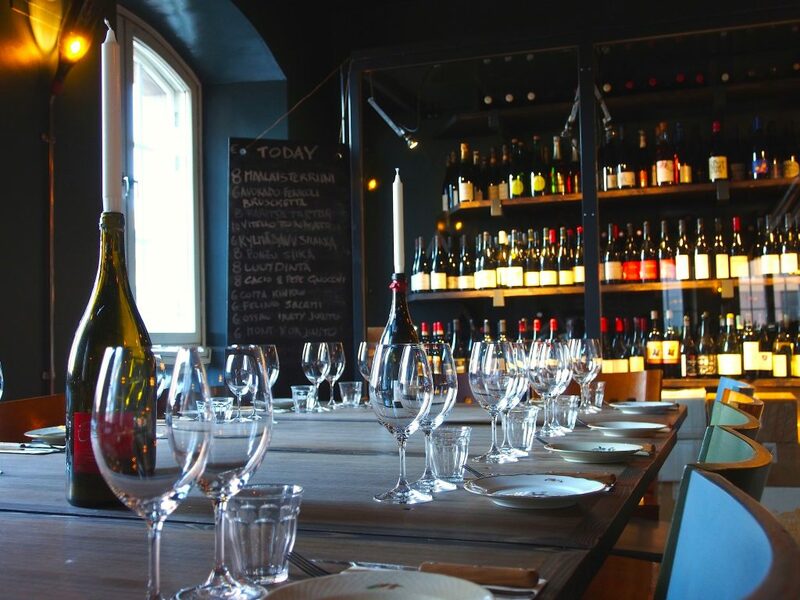 Opened in late September 2016, BasBas & Staff Wine Bar is located in the same building where its parent restaurant Baskeri & Basso Bistro started in November 2015. And Baskeri & Basso has been fully booked ever since. No wonder: the restaurant hall is the most atmospheric in Helsinki, their service is magnificent and food so delicious that on Thursday night I had to eat their cacio e pepe pasta twice! So when they announced they would set up an own wine bar, we all were thrilled. 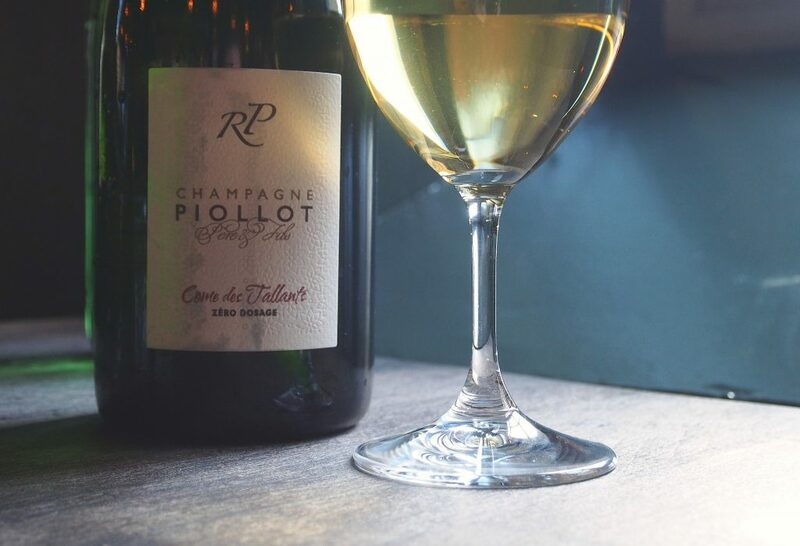 House champagne of the moment: Roland Piollot‘s Come des Tallants, a wonderfully fresh and flinty, intensely mineral non-dosed 100 % Pinot Noir from Côte des Bar region offers great value for money. If you ask me, right now many of the most intriguing vigneron champagnes seem to be coming from the Aube, that fascinating and deeply rural southern “satellite” of Champagne. 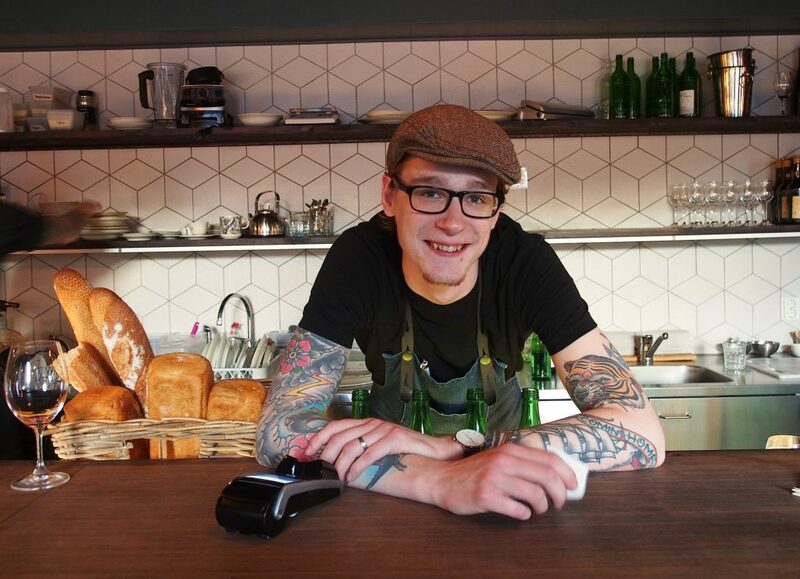 BasBas & Staff Wine Bar is owned together by its employees and the founders of Baskeri & Basso Bistro, Nicolas Thieulon and Kalle Kiukainen. Everyone who visits the bistro on a regular basis knows that the people working there are like one big passionate family, which shines in everything they do. To our delight. 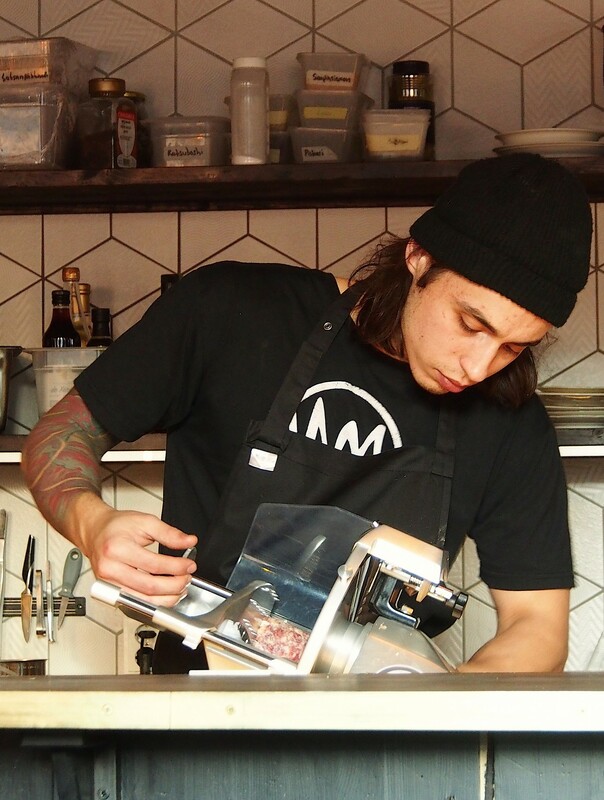 Daniele Pelati, from Rome with Love – and in Finland since 2001. We people are glad he did. With Sebastian they form a tight twosome, the synergy of which arises from two different characters sharing the same passion (wine) and the same approach (relaxed) towards it. From Wednesday to Saturday they create a great feeling around wine as well as surprise their guests with insightful wine & food pairings. Although their by-glass list is nicely written, I rather let them decide for me. The shelves are loaded with lovely wines. 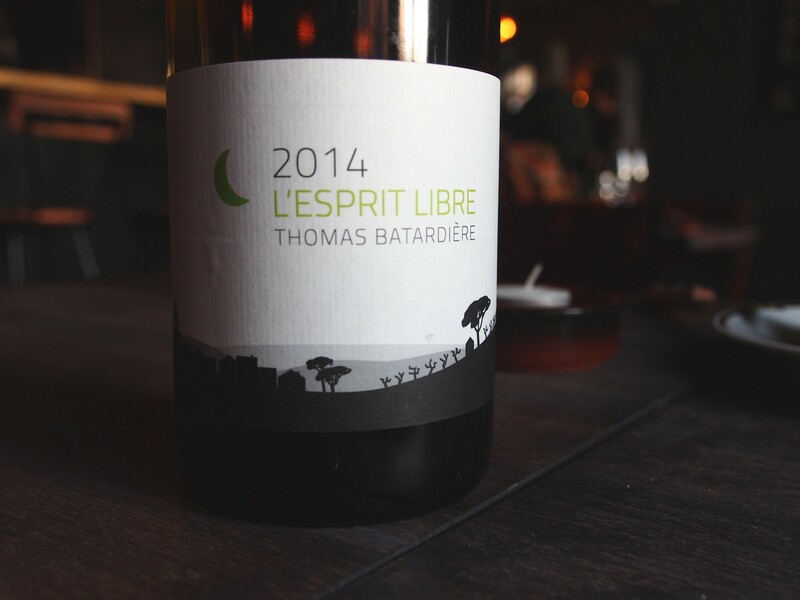 Mas Coutelou‘s Classe (Diamond Wine as I like to call it) has become one of my natural favourites in the past years (thanks to Johan at Chef & Sommelier who was the first to introduce this charming Languedoc Syrah-Grenache-Cinsault to me). If you are more thirsty and have a buddy to share a bottle with, BasBas & Staff Wine Bar offers loads of delicious options. Browsing their shelves brings plenty of pleasure. Next time I’ll definitely plump for some Dard & Ribo, one of my Northern Rhône favourites. Nadim Nasser is a wizard in conjuring up simple and tasty flavours to share with friends. 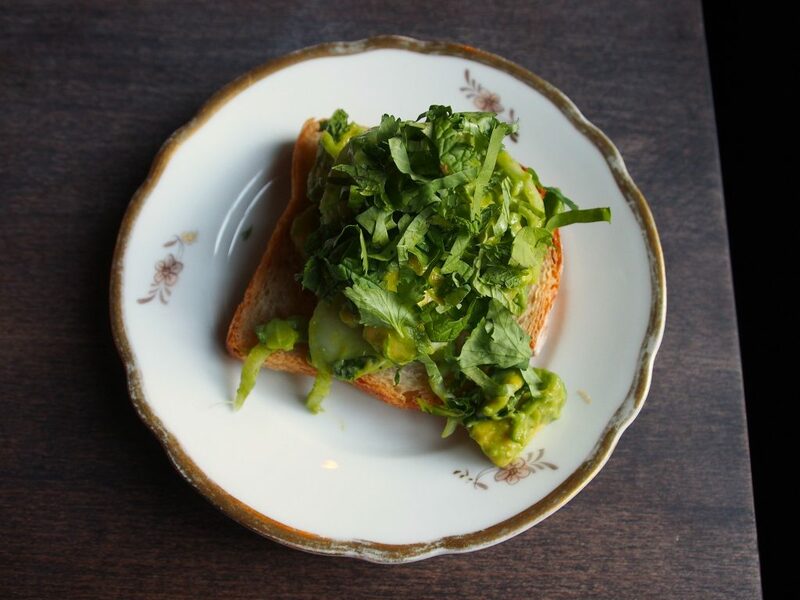 Especially his fennel & avocado bruschetta instantly hooks you. I have to order it every time! 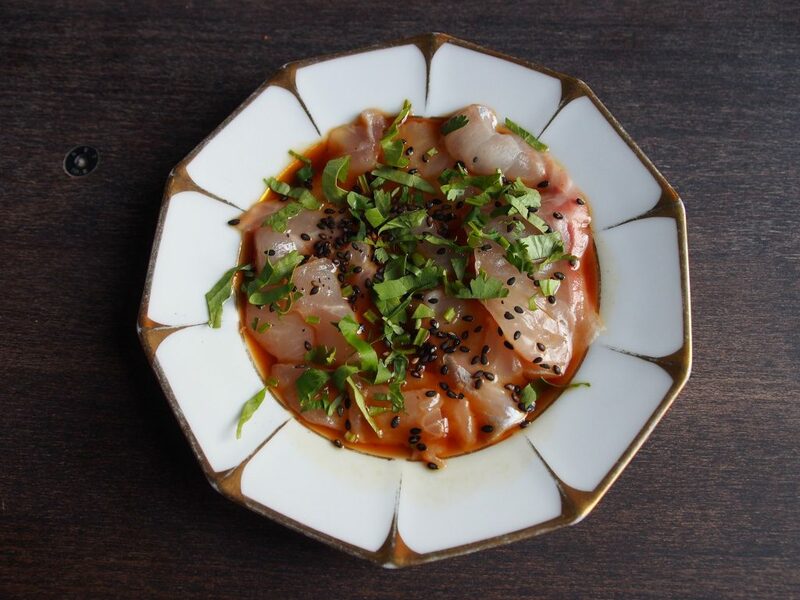 Also whitefish in ponzu sauce (above) makes you feel like shedding a tear of happiness. Last time it was paired with Agnès & René Mosse‘s sparkling rosé Moussamoussettes. Sheer bliss! Green art à la Nadi. The dishes cost between 6 and 10 euro. Telakka table (the only one that can be reserved) waiting for the guests to arrive. What I really like in BasBas & Staff Wine Bar is that they do not take any reservations. 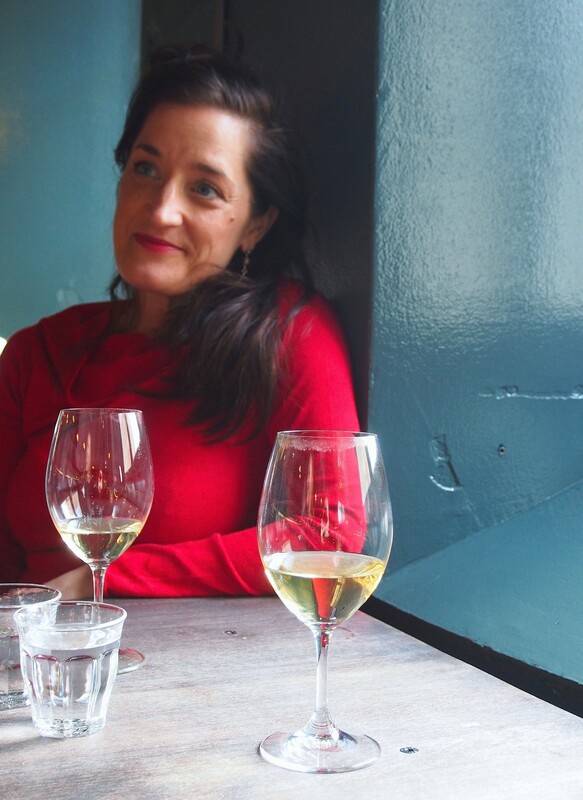 Having spent a lot of time in Paris in recent years, I love best those simple, unpretentious and cozy wine bars where you just walk in, sit down at the counter and order something nice to bite with your glass. Nowadays, when that mood strikes me, I just walk down the street. Surfaces and shades in BasBas & Staff Wine Bar are delightful, especially when the first rays of spring light up the entire space. Enjoying some Saturday Piollot with my lovely friend Liisa. As the afternoon turns towards the evening, I am still delighted to see people of different ages in the room. 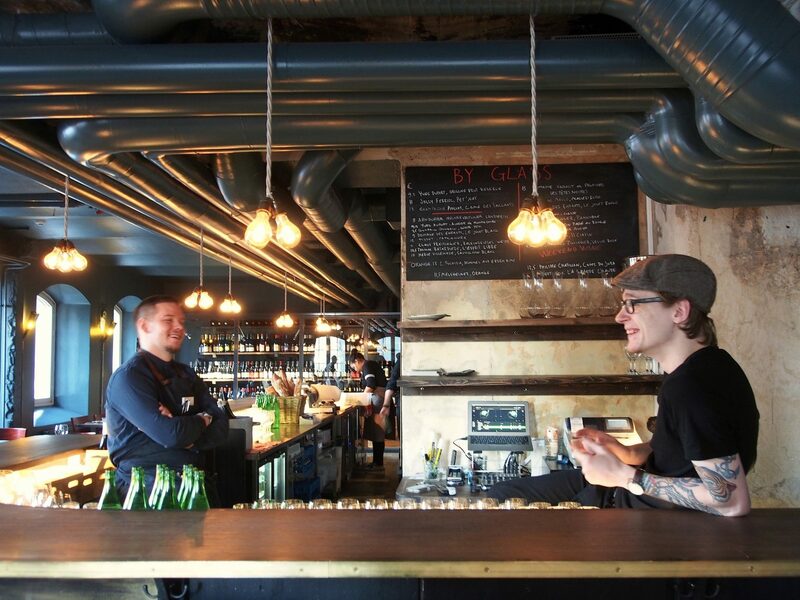 So if you thought this bar would be just for young/youngish urban population, you are wrong. In fact, the atmosphere is so lovely that next time we’re gonna bring our mothers along. Right, Nina? Last Saturday afternoon was spent with my Northern Rhône specialist friend Mikko. 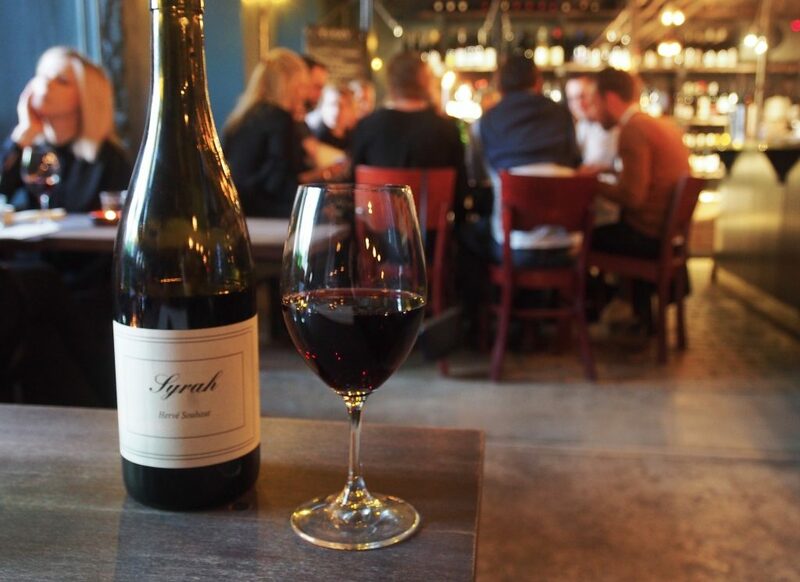 Sebastian suggested us an excellent Syrah from Ardèche. Yummy, elegant, wonderfully peppery stuff. This picture says it all: PASSION. 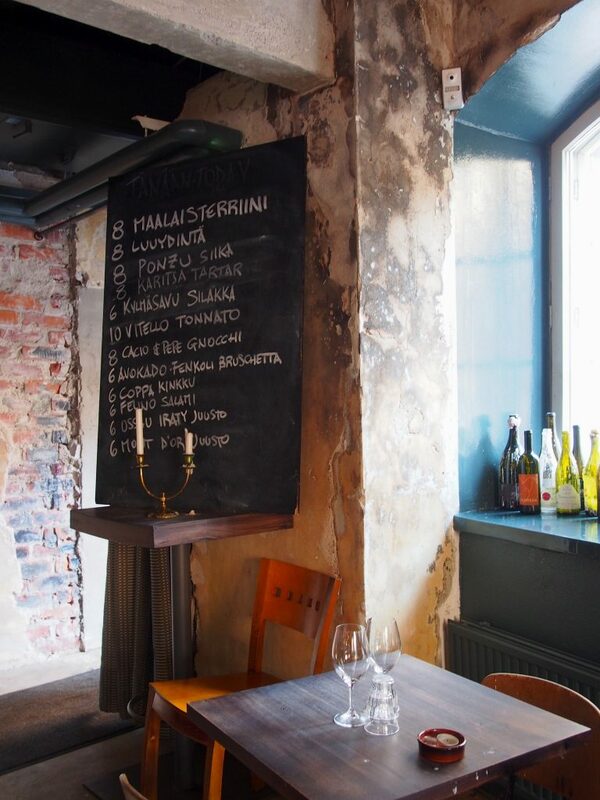 I wholeheartedly recommend BasBas & Staff Wine Bar to all my foreign friends asking tips for what to do in Helsinki. Since this bar is all about warmth and laughing dialogue between the fellas and their guests. The same recipe on which the success of Baskeri & Basso Bistro was based on a year earlier. Along with Daniele, cacio e pepe is another Roman gift to all of us who love both BasBas and its wine bar. 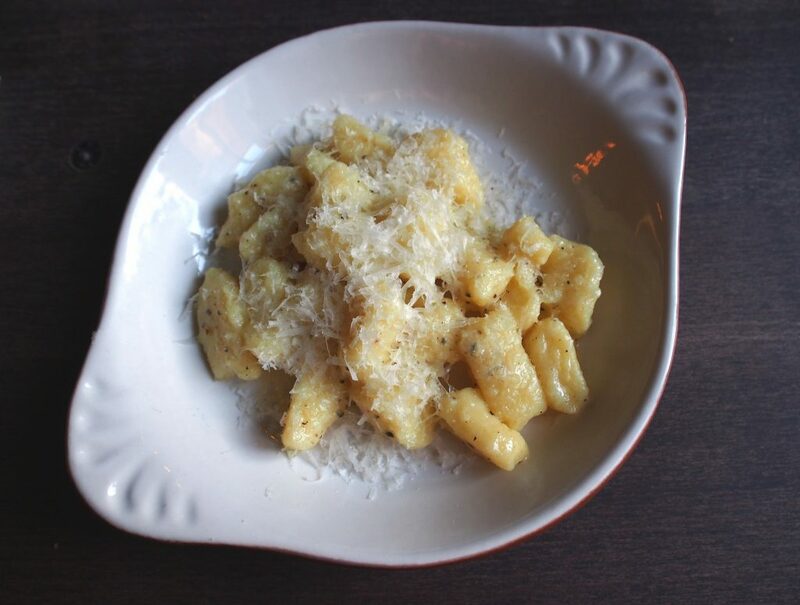 If not prepared well, it is one of the dullest pasta dishes, but when it’s good… well, Nadi truly knows how to make an excellent gnocchi version. Even though the world is my backyard, sometimes the best things are just around the corner. Tehtaankatu 27–29 (in the corner of Telakkakatu). Wed-Thu 16–00, Fri 16–02 and Sat 14–02. Tel: +358 (0)44 230 5900. Tram: Telakkakatu (line 1A) / Eiran sairaala (line 3). Sanna, kirjoitat sujuvasti, mutta kuvatkin ovat ilahduttavan laadukkaita. Tiedän, että moinen kuvaaminen ei aina ole helppoa, koska tunnelmaa tupataan luomaan sillä, että valoa on vähän. Voi Ari-Heikki, ISO & vilpitön kiitos!! Ravintolaoloissa kuvaaminen on eittämättä haasteellista, nytkin, vaikka päivänvaloa on jo kosolti enemmän. Vielä jonain päivänä tässä elämässä lähden opiskelemaan valokuvausta… ja kommenttisi kannustaa siihen. Merci. What a great idea of being taken to this exciting place together with Nina´s ma !